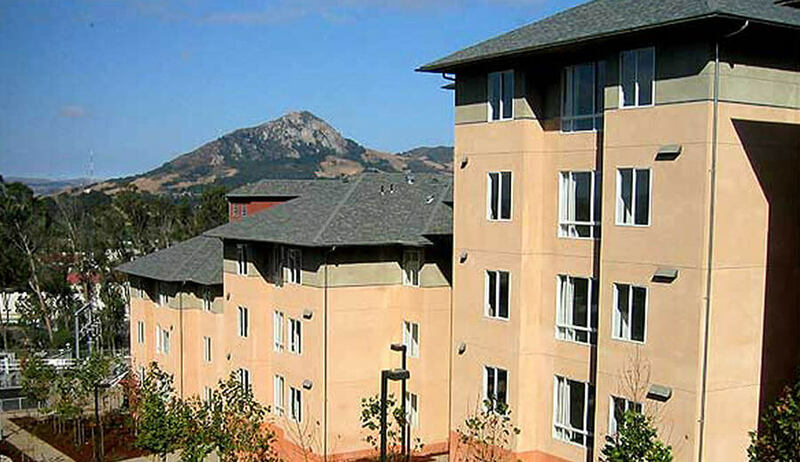 The Cerro Vista Apartment Complex was the first student housing built at Cal Poly San Luis Obispo in over 25 years. 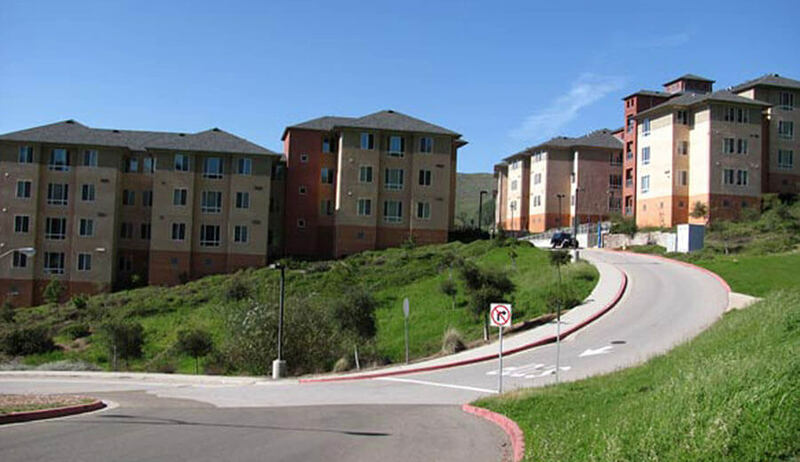 The project is spread over a total site area of six acres located on the hillside just north of Poly Canyon and Klamath Roads on the University campus. 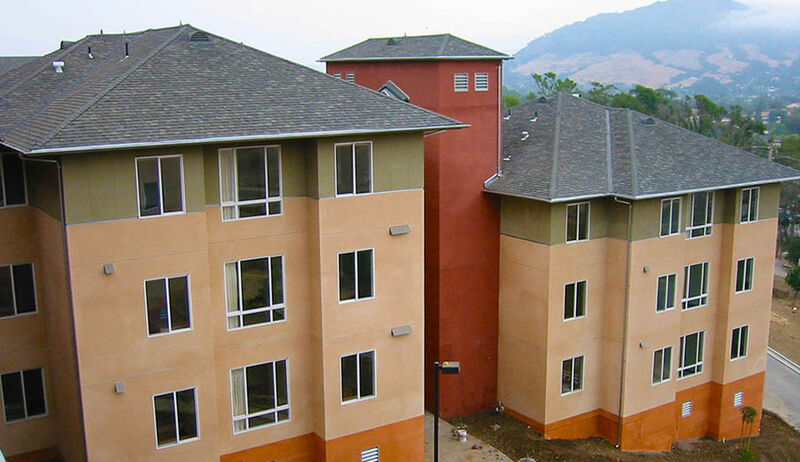 Soltek constructed a total of 201 four-bedroom apartments, providing a unique opportunity for many Cal Poly students to combine apartment-style living with the convenience of a few minutes’ walk to class. 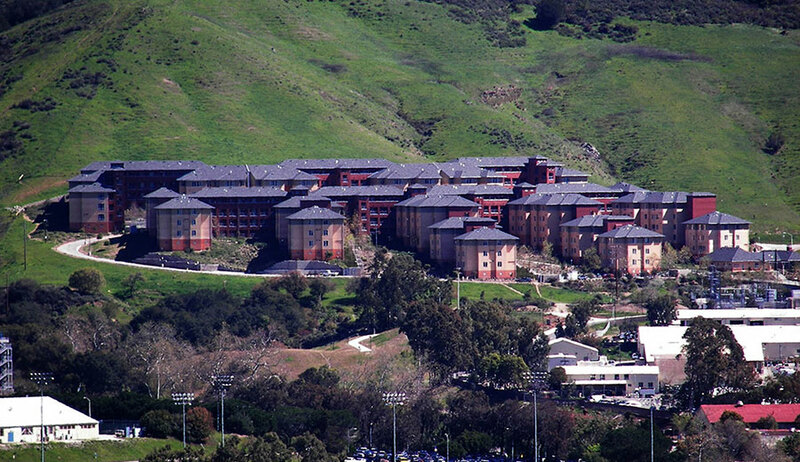 The apartment complex has accommodations for 800 students in private bedroom settings. Each four-bedroom unit is approximately 1,000 sq. ft. and includes full furnishings. The facility was designed to provide each resident with a private bedroom within a shared common area containing a living room, two bathrooms, and full kitchen with built-in appliances. All apartments are adaptable to ADA (American Disabilities Act) standards, and 16 apartments are fully ADA accessible. The work effort required the demolition and removal of existing buildings and concrete slabs, relocation of existing above grade electrical power lines, and re-grading of site roads and associated landscaping. The complex’s buildings are wood framed with stucco exterior finishes, and total 218,324 square feet in seven (7) four- to six-story structures with an additional Commons Building to serve resident laundry and recreational needs.